Another very cool Japanese band. Musea really finds some great bands. This three piece really explore all kinds of styles in this great mix of instrumental music. 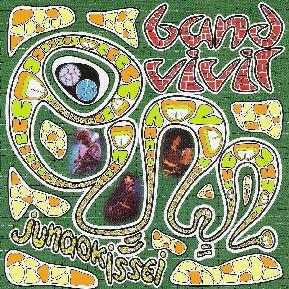 The band is lead by guitarist Issei Takami and cites influences from Jimi Hendrix to Frank Zappa to Brand X and King Crimson. This is very intense stuff but I loved it. The band is very adventurous and not afraid to take a chance. The CD is split into two sections, each of 8 tracks (Vivid and Evil). While some of the guitar playing is pretty wild (like Seven that Spells), they bring it under control and play some really cool stuff. I would love to see this band live. I hope that they release a live DVD or tour Europe! This is some really great stuff. For more information you can visit the Bandvivil web site at: http://www.bandvivil.com. Visit the Musea web site at: http://www.musearecords.com. Visit the InterMusic web site at: http://www.musicterm.jp/intermusic.